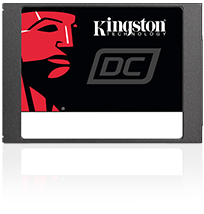 Kingston’s Data Center 500 series (DC500R/DC500M) are high performance 6Gbps SATA SSD using the latest 3D TLC NAND designed for read-centric and mixed-use server workloads. 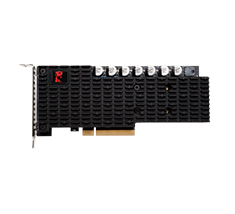 They implement strict QoS requirements to ensure consistent random I/O performance as well as predictable latencies over a wide range of read and write workloads. 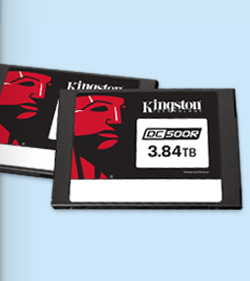 On-board Power Loss Protection (PLP) with power capacitors ensures that data-in-flight is written to the NAND to reduce the likelihood of data corruption. Testing is a cornerstone of our commitment to deliver the most reliable products on the market. We perform rigorous tests on all of our products during each stage of production. These tests ensure quality control throughout the entire manufacturing process. Caltech professor Harvey Newman describes how data generated by CERN (the Large Hadron Collider) is analysed and shared between different research facilities around the world and how the DCP1000 plays a key role in the distribution and processing of this data for scientific discoveries.